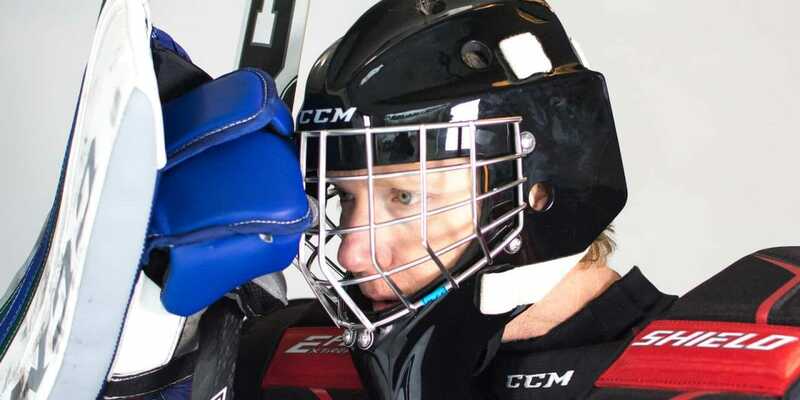 For Canadian goaltenders, or those simply wishing for a safer cage option, CSA-approved masks are commonplace around the game of hockey these days. 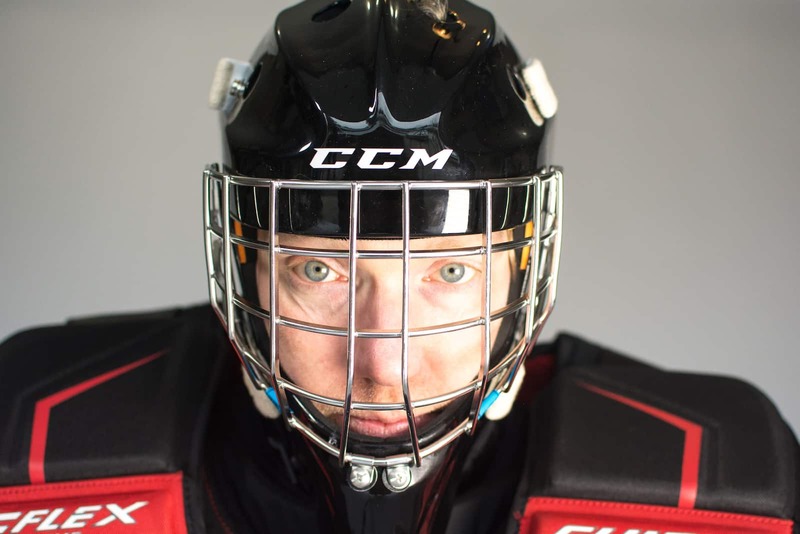 The cat-eye cage doesn’t become available for a lot of goalies until they reach a certain age – or at all in Canada until you reach the professional ranks. Cat-eye cages offer superior visibility, but are not allowed to be sold in Canada due to the fact that the blade of a stick can fit through the eye holes. “Junior” cages, as they are often referred to, have extra bars to increase safety. There are also a CSA-approved cat eye cages, and a non-CSA approved “cheater” cage, but those are much less common. One thing that a lot of goaltenders don’t realize is the fact that a properly-fitting mask is exceptionally important if you are wearing a junior cage. If you are wearing a mask that isn’t right for your head, your vision could be greatly hindered. With the increased attention being paid to puck-tracking and vision training these days – a large number of goalies are doing themselves a great disservice the second they put on their mask. The mask needs to be pulled down far enough to the point that the field of vision is not being blocked by the middle bar of the cage. Sometimes that bar can sit right in front of the eyes, which causes problems – including a trickle-down effect. When a goalie is wearing an improperly-fitting mask with the middle bars in the way, they instinctively try to look underneath – which, in turn, forces the head to also tilt upwards. 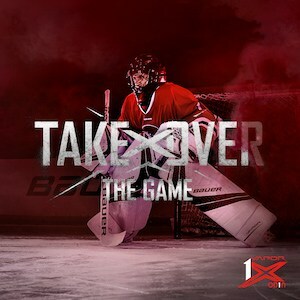 Goalies are taught to track down on the puck, and that becomes increasingly more difficult with the head tilted upward, instead of down towards the puck on the ice. John Gibson was one of the worst offenders of [wearing an improperly-fitting mask] in his junior days. Another issue with the middle cage bars being in the way is the fact that a lot of goalies will actually push the mask up their face in order to see below the bars. This is very unsafe, as it opens up space in the neck (and in some extreme cases, the mouth) area. John Gibson was one of the worst offenders of this in his junior days. He doesn’t have the same vision issue with the cat-eye cage in the NHL, but old habits die hard as he still likes to wear his mask pushed up. Finding a proper-fitting mask can be a challenge for some people, but it is such a crucial piece of equipment that can affect many different areas of your game. A lot of stores, and sometimes even goalie coaches, don’t know what a proper-fitting mask looks like – which adds to the problem. 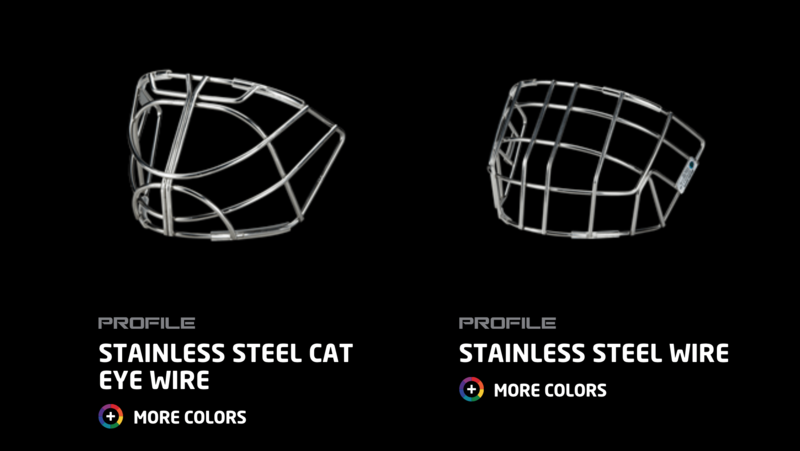 The next time you purchase a mask, make sure that the bars of the cage line up so that you are looking through the top two holes – NOT underneath the middle bar. Every brand has different fits and different designs that are specifically for people with different shapes of heads. Don’t just pick up the first mask that you see and go with it. Try on different styles and experiment with the strapping. Your future success may be riding on it! Just hope you don’t run into a ref that calls you out on it! Bauer also won’t even ship them to Canadian addresses, so you better have an American PO box. Lots of stores in Canada sell catseye cages. Easy to find. Not smart if that’s true. If a customer buys it and gets injured wearing it, they would be held liable. Once you hit over 18 in Canada it doesn’t matter if you are wearing a cate-eye cage. 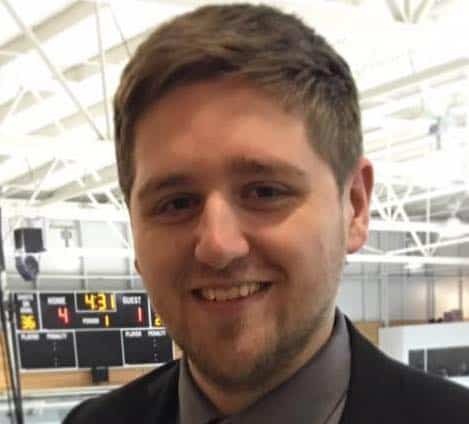 The insurance company CARHA doesn’t forbid it anymore, they just won’t cover any expenses that happen if you get hit in the eye with a stick or puck. We sell them in our store but I only sell them to adults. and I wear one….but they are prohibited for sale by Health Canada. You use the single worst mask/cage combination to illustrate your point. CCM has the worst cage on the market and forces goalies wearing the correctly sized mask to tilt their head up to see through the top eye holes. The picture above with the black mask shows it clearly; there is no useful purpose other than to obstruct view by placing the top horizontal bar as far down as CCM has. With a correctly sized and fit mask, that horizontal bar should be just slightly below rim of mask at the brow of the forehead. It will help with head tilt and not obstruct vision. 2- more importantly, for safety’s sake, the dynamics of open cell foam changes once those open cells are filled with perspiration. Frankly, it is entirely possible that one mask may be the “single worst” FOR YOU. But we always make the point whenever anyone asks – it is all about fit. And every head is different. So, I respectfully disagree as would many others who love CCM masks. Push the cage up further as you’d like and the next bar down can become a problem for others when the helmet it properly adjusted. But – everyone is entitled to their opinion, as are you. Greg, my reply wasn’t worthy of your article? I understand, can’t criticize the sponsor companies. You have my email, next time the moderator wants to remove a loyal reader’s reply you should have the courtesy to let them know why….before you have one less disgruntled reader who shares their negative experience with their group of hockey friends. Perhaps you could have some patience. InGoal is run by a large group of people with day jobs and families. This is a labor of love and that’s all. So if we don’t get to moderating as quickly as you like – feel free to drop an email to [email protected] and let us know.